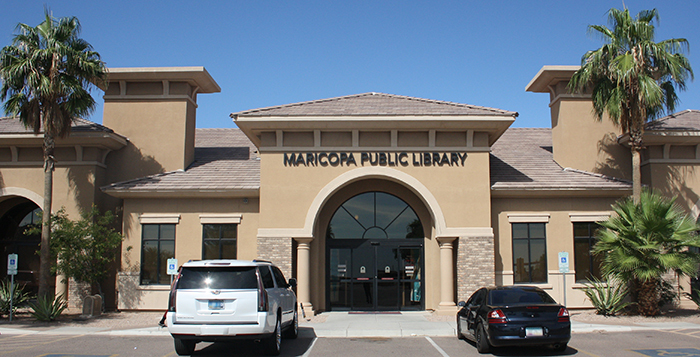 Among the upgrades going into place at Maricopa Public Library next week are new locks and security cameras. The Maricopa Public Library is aiming to modernize its facilities as part of a renovation project set to take place next week. The building at 41600 W. Smith Enke Road will be closed to the public Oct. 17-22 to undergo a laundry list of subtle upgrades designed to not only beautify the facility but to enhance efficiency and increase productivity amongst the libraries visitors. Upgrades to the computer systems and an expansion of wifi connectivity will allow patrons to better utilize existing information technologies. To further productivity the library also plans to experiment with 15-minute hassle free computer access which will allow non-members to use computers and printers at no cost for brief periods of time. New locks will be installed on main entry doors and security cameras will also be added during the renovations. “There hasn’t been any threat to call for increased security,” Library Manager Erik Surber said, but with other upgrades taking place he thinks it’s as good a time as any to make the changes. As part of the project, the library will also receive a small facelift. New LED overhead lighting will replace the current fluorescent system, making the building more energy efficient. The bathrooms will get hot water for the sinks as well as new partitions in the stalls and a few new coats of paint. During the down time employees will take advantage of the patron-free environment and do a fall cleaning of their book catalog. Surber feels though it’s not yet time for an official audit, it will be a good time to clean up the shelves. There will be no holds or items due that week, and no charges will be added to items not returned. However, returns can still be made via the night-time drop-off slot, as items that are passed due prior to the library’s temporary closing are still subject to standard fees.